Nothing makes me happier than actors I love finally getting the recognition they have long deserved. So the news that John Krasinski will play Jack Ryan in a 10-episode Amazon series was all kinds of exciting, particularly as we'll all get to see the actor take on a serious action role. 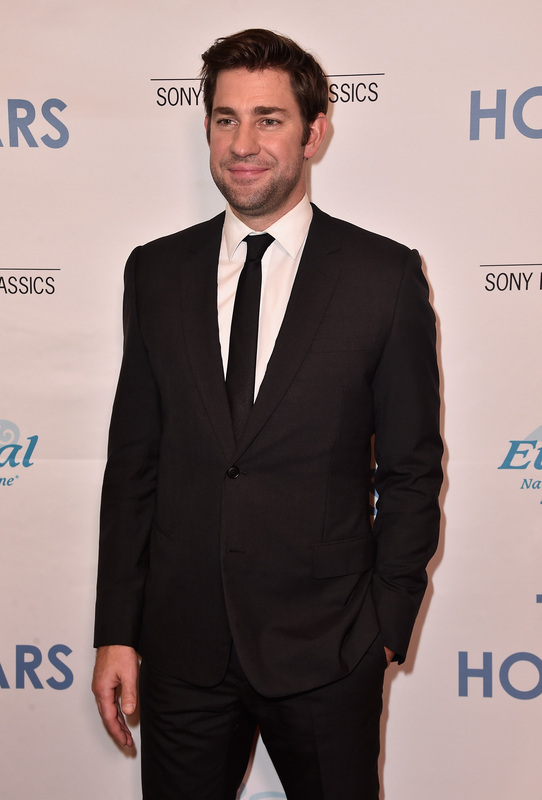 But if the recent press Krasinski has been doing for new movie The Hollars is anything to go by, the former Jim Halpert hasn't lost his sense of humor. Like, at all. On Wednesday's CONAN, it was revealed that John Krasinski auditioned for Captain America , and his story just proves he'll make a great Jack Ryan. Krasinski is a fully-fledged action hero now, after his role in 13 Hours: The Secret Soldiers Of Benghazi, and with the announcement he'll play the lead in Jack Ryan . But according to The Office actor, he once tried out for the role of Captain America, which has since been made famous by the beautiful Chris Evans. Speaking to Conan O'Brien, Krasinski said, "I was putting on the suit... feeling pretty good about myself... and all of a sudden Chris Hemsworth walked by as Thor." And seeing Hemsworth in costume, looking totally majestic and buff, was enough to put Krasinski off his audition. Now that Krasinski has been cast as Jack Ryan, it's easy to picture him as a Marvel superhero, and could still be in his future. But Captain America: The First Avenger started filming in June 2010, meaning that casting sessions took place months before. At this time, Krasinski would've been filming Season 6 of The Office, and it's hard to imagine the actor auditioning for such an iconic superhero role while appearing as Jim Halpert on our televisions every week. Plus, if he'd been given the role of Steve Rogers, it's unlikely he'd be Jack Ryan now, and I can't think of a more perfect person to play the infamous CIA agent than Krasinski. The fact that the Something Borrowed actor makes such a joke out of his Captain America audition now shows what an awesome sense of humor he has. Clearly, big things are happening in Krasinski's career right now, and I'm glad he didn't join the Marvel universe way back in 2010. John Krasinski wasn't right for Captain America, but he'll make a great Jack Ryan, and will change everyone's perceptions of him in the process.